First, an explanation. It has been, according to my calculations, three-and-a-half years ("time, and twice time, and half a time"...) since I've posted last. I have to say it's easier going through life without having to write about the books I read, but I also find that I miss something tangible that I get from writing after I've finished a book. It's a little chunk of memory to hold on to, even if it's only a few words. So, I'm trying to get back into it. Hopefully it won't consume too much of my time. ..So.. 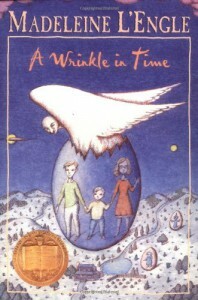 A Wrinkle in Time... I read this many years ago, and I vaguely think I got into a sequel or two, but I don't remember much about the sequels. This time, I had a dickens of a time starting the book. I've been playing Pokemon on the 3DS (pokemon X, for the record... I'm a bit behind), and I've been so absorbed in that story that it's hard for me to pick up a book. In my rather twisted view of the world, that's okay. To me, a good video game is equivalent to a good book. Both stretch the imagination in different ways, and a well-rounded person should do both, but not get so lost in either that they forget to live. So, finally I started moving on this book. I forgot how familiar the setting was, and how quickly I could make it through the material. My impression this time is that the main characters (Meg and her family) were a bit snobbish. A bit of the "we're so smart, nobody else who is less smart matters" type of attitude. Not to Ayn Rand levels, but just a little bit. Other than that, the story was a pleasant adventure. I was gripped, and the vivid imagery of the suburban planet, the CENTRAL central intelligence building, the Beasts, etcetera was all familiar and good. I saw a trailer for the new movie and I'm excited. I don't know how this will adapt to the big screen, but I have high hopes. Wow. OK. this book was it. It's worth reading through all the books to get here. Tons of fun battle sequences. 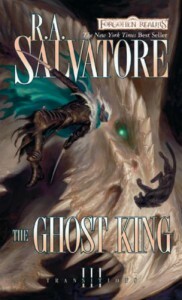 That thing on the cover of Drizzt fighting a 3-skulled skeleton? Totally happened. Totally awesome. This book also finally included the return of Jarlaxle and Athrogate, and had the moment I'd been waiting for, when Jarlaxle rides in on his white horse and saves the day. I could read a whole other 30 book series about Jarlaxle, Mr. Salvatore. That's a dare. ...and just when it seems like all the threads won't come together, this book has an unexpected end, with all the epicness and all the feels. 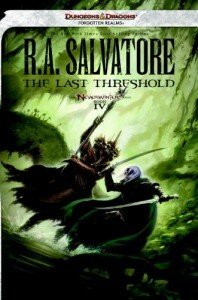 At the end, Salvatore writes an ambiguous end for Drizzt. Now, from what I know of RA Salvatore, he can't keep a good character dead, but if he did, this would be a fitting end for Mr. Do'Urden. Anyway, I'm content... and I think I'm finally done. It's starting to get good again. I love the complex character of Barrabus/Artemis. I'm glad to get to know him a little better in this book. 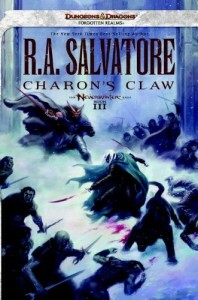 With the last book, Salvatore made a break from the old familiar characters to this new set. I'm sure at some point, I'll love these characters like I love the last batch, but it's taking more than one book. Otherwise, this is a non-offensive battle romp. 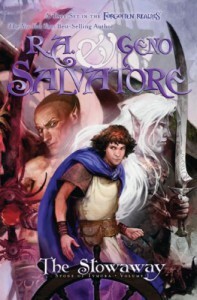 These books seem to be much more mature (in terms of themes and content) than the previous Salvatore books, but that's probably fine. Anyone who can manage to slog through 30+ novels to get here can handle it. These books get better and better. This is (should I count?) book #38 (at least the ones I've been reading). I've got my wife started on them (she's 4 books in, now). You can tell that as an author, Salvatore wants to shake things up a bit-- he's breaking the mold that he made in the first dozen or so books, and nothing's the same. 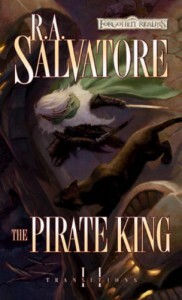 With the last book chronologically (Ghost King) that managed to kill off 3 main characters, and this book starting decades after that, Salvatore's showing a willingness to leave the past behind and start something (somewhat) fresh. I don't want to spoiler it, but this book has a death toll as well. I'm intrigued to see where this series is going. I see that Drizzt is (for the umpteenth time) getting all moody about his life, but it's interesting to see the difference in the character arcs of Drizzt and Jarlaxle. Jarlaxle is now much more likable, and (if I got my wish) poised to be the new main character of the books. We've learned about Drizzt's struggle over and over with, and I feel like he's played out as a character. Certainly as someone to help other people out, etc, but he's kindof already done his thing, you know. Anyway, more Jarlaxle, plz. OK, so my review: if you're willing to slog through all the previous books, by all means, keep going! So maybe I wasn't expecting this book to turn out like it did. First five chapters were straight-up Jean Craighead George nature documentary. I mean that in the most complimentary way possible. Chapter six: sudden, abrupt left turn into Danny and the Dinosaur territory. (or Sammy the Seal, if you will.. they're the same book.) It was such an awkward break, I never recovered from it. The book was fine as it is... Trying to remind myself that this is the same guy that wrote Charlotte's web (you know, talking pigs, etc. ), but the departure from the initial style was so jarring, I just couldn't get over it. I've never read or seen Stuart Little, and although I read Charlotte's Web as a kid, the only thing I remember is the movie. That being said, I wouldn't recommend this one... go read My Side of the Mountain or something. Fun reading, although this book was a little heavy in the exposition-- It was laborious explaining all of the fantastic things that have happened so far, and getting to the twist ending. Oh, did I say twist ending? Yeah, it's a small twist, but it's there. A good fun read. 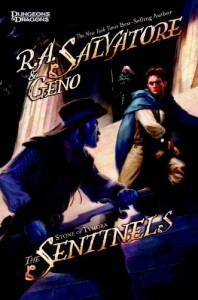 For fans of RA Salvatore and The Ranger's Apprentice. Another entry in this fun, fast-paced trilogy. It's more lightweight than the (admittedly already lightweight) rest of Salvatore's books, but that's not necessarily a bad thing. Anyways, it's a fun, quick read, and the book keeps you turning pages. It certainly doesn't have the most solid and believable story, but that's the freedom that reading kids lit gives you. Kept me going and guessing right to the last page. Ack! I don't have the next one yet! Having heard all the paeans to this book from all corners of the world, I expected it to be a wise, cogent argument for the importance of books and reading, or at least the dangers of censorship. What I got was a grumpy Ray Bradbury complaining that television was too loud and confusing for him, and he wishes we all wouldn't drive so fast. You do have to hand it to Bradbury that he did a good job of predicting 21st century suburban isolation, ear buds, flat screens, and all that, but I think he completely misses the reason we allow technology in our lives-- to enhance our knowledge, curiosity, and understanding. I'm not saying he didn't make valid points about how technology isolates us, or how censorship often comes from both the left and the right, but I think he's off base in his conclusions. What got me, though, the real clincher of the whole thing, was reading the Afterword, Author's Note, and interview appended to the end of my edition. This guy's a real piece of work. About two paragraphs into the Afterword, Bradbury's authorial voice (in my head-- I HEAR books when I read them) transformed into the voice of Chevalier from Gentlemen Broncos (more on that later). 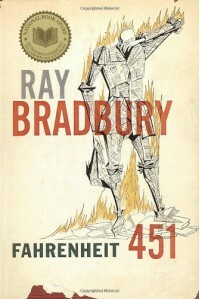 ...an excerpt from "A conversation with Ray Bradbury"
RB: Isn't that an incredible book? ... isn't it, though? Isn't my biography the most important piece of literature in the 21st century? You adore me, I certainly adore me... Aren't I wonderful, important, insightful? ...and if you liked that, rent Gentlemen Broncos. READ THIS AFTER "The Halfling's Gem" and before "The Pirate King"
Preferably right after The Halfling's Gem. Anyway, this is a departure. 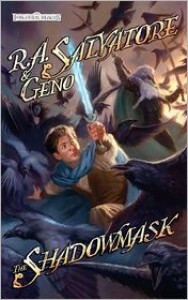 A kid-lit book at about the speed of the (fabulous) Ranger's Apprentice books, set in the world and with the characters from Salvatore Sr's books. ...and the book wasn't half bad. Again, it's a early-teen/preteen reading level, but I love stuff at that level, so it was great. Four stars, simply because it was tough getting used to new characters and getting into the story. At first, upon reading this, I thought that the series of events happening to our main character stretched the limits of realism (and sanity), and thought the apparent improbable/impossible luck of the main character was a mark of juvenile writing. At some point, I figured out it was actually a plot point; so, concern resolved, and these books are allowed to continue being awesome. This is the payoff. 31 books into this series, this is great. I want to say it's the best of the series, but I'm also looking fondly back at a few others that might qualify. ...but this one was good. Way good. Worth-slogging-through-books-1-to-30-good. So, killing off THREE main characters after thirty-odd books is pretty controversial, right? 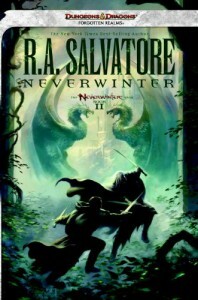 Of course, with RA Salvatore, they may not stay dead. I sure hope they do, though. I hope their death means something. Of course, there was foreshadowing for several books in the case of Cattie-Brie and Regis that their time on this world was short, especially compared to Drizzt's lifespan. That being said, their deaths were certainly unexpected. I'm still sad about Cattie-Brie and Wulfgar's failed relationship, but I think that's what I like about how these books have matured. Things aren't always so fantasy-story simple. Cadderly-- well, he's been talking about dying every time he crops up in a story, so that's not surprising either, although he seems (seemed?) so powerful at times, that it's kinda sad that he didn't sacrifice himself for something... I dunno... bigger? maybe this is big enough? I'm glad to see Jarlaxle (and cameo by Valas Hume from the War of the Spider Queen series). I'm glad to see him making friends with Drizzt and co. No, it doesn't even seem forced by this time. I'm ready for the next big revelation about Jarlaxle's past or his character. Speaking of which, it was heavily implied in the book that the Ghost King (Crenshinibon/Hephaestus/Whatever) sent two of his Lichs against Artemis Entreri somewhere down south. I wonder what happened to them. I'm sure Salvatore either planned them as chapters in this book, or wrote up a short story, but I'm DYING to know, and it looks as if the next book is set SEVERAL years after this, so I may not find out. Also, like I said, it looks like the next book series is set several years after these events. Does this mean that Salvatore's done with his group of friends? Sure, Drizzt is the most famous and marketable of them, and given his long potential lifespan, there's an unlimited potential for adventures, etc. but I actually like him least of all the Companions. His inner struggle has been won. Played out, and rehashed too many times. 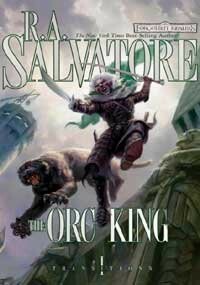 In my opinion, it's time for Drizzt to settle into the role of a continuing supporting character and let other, more complex characters take the spotlight. Okay. More Artemis Entreri vs. multiple Lichs, please? thank you. It's good to see old friends. This was a fun one. Some great battles, political scheming, derring-do, and the return of some old friends (and enemies) and plot threads. Lots of reader payoff in this one. 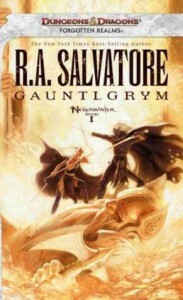 Somebody should tell RA Salvatore that his book titles don't have to all have the same word in it. "The Pirate King" is not among the top 10 titles I'd choose. It's interesting that the narrative skipped-- it went from when Deudermont explained to Drizzt that he was going to invade Luskan straight to the invasion. It's almost as if Salvatore couldn't think of a good enough reason why Drizzt couldn't convince Deudermont that this was a MONUMENTALLY STUPID decision from the beginning. Hello? 4 ships against a whole school full of wizards? It took about 20 times that firepower to even think about bringing Hogwarts down... Deudermont is just lucky that he got the support that he did. His invasion should've gone off worse than the Bay of Pigs. 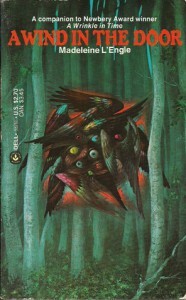 Also, why didn't Drizzt clue Deudermont into the fact that The Crow had Dark Elf backing of some sort? That's the sort of thing you should mention to a friend. Okay. Enough overthinking. This isn't shakespeare. It's elves and orcs and battles. 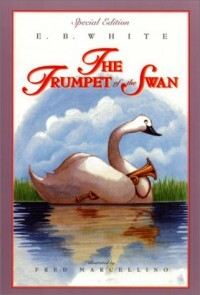 to anyone reading this series, READ THIS IMMEDIATELY AFTER "The Two Swords" ... it's a direct continuation of the story. I got sidetracked on a side-series and other books, and so it was tough picking up the plot, remembering exactly who had killed whom and who had whose weapon, etc. right at the beginning. A fun book with good battles and interesting stuff happening. it's a foregone conclusion that Obould's going to turn out to be a good guy and ally of the protagonists. I think the story would've worked better leaving that as a surprise. Other than that, it's a fun book. Wulfgar's story arc is sad, but he's been a tragic character for a long time. 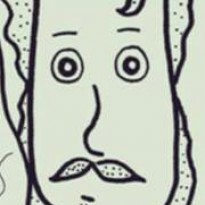 I also have high hopes for Tos'un Armgo as a more regular character in the future. I think he's got an interesting story to tell. Hey, remember that time we hijacked a steampunk balloon, and spent a bunch of time staring at the Sahara Desert? No? Me neither. Let's never speak of that again. Yeah, so this novel reads like a couple of unused chapters for Huckleberry Finn, and as such is ... okay. We revisit some characters from Huck Finn, but they're just basically placeholders for a whodunnit... (I'm not even certain some of the family members were even IN the Huck Finn book). We get your typical murder mystery, which is alright. The plot's by turns a little thin, and a little formulaic to someone who's grown up with mystery stories on TV. 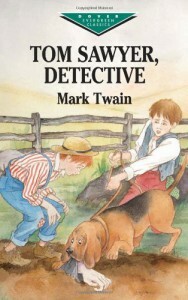 Anyway, I will probably only reread Tom Sawyer multiple times in my life. Huck Finn? maybe once. This one? Once was enough. ...okay, maybe not gambling. I haven't read a Mark Twain biography, but I scanned his wikipedia page, and it did seem like he had debt problems. Anyway, this is a cash-in. We get long digressions of Tom saying how much he loves the Arabian Nights, and believes they're true, we meet a coupla caravans but don't really interact with them, we see some pyramids, some "whirling dervishes" in Cairo (hint: they're from Turkey), and then the book suddenly ends. 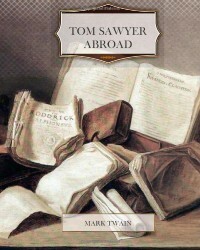 Yes, Mark Twain is fun to read, so there's that, but this is clearly a piss-take.